50 beautifully appointed deluxe rooms that including Suites. Each with all modern amenities like LCD TV with entertainment channels, telephone, Wi-Fi Internet access (Chargeable), and magnificent views. The entire compartments are centrally heated which makes one’s stay luxuriously comfortable, even in winter. 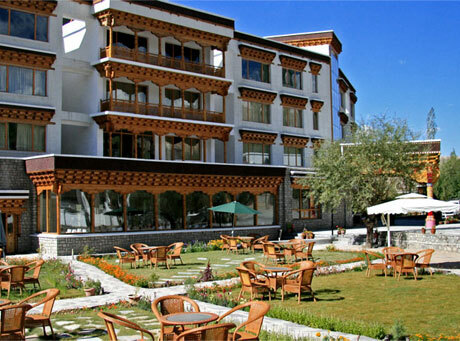 Situated In the heart of ancient city of Leh, the Grand Dragon Ladakh extends a warm and luxurious welcome to all guests from India and around the world.